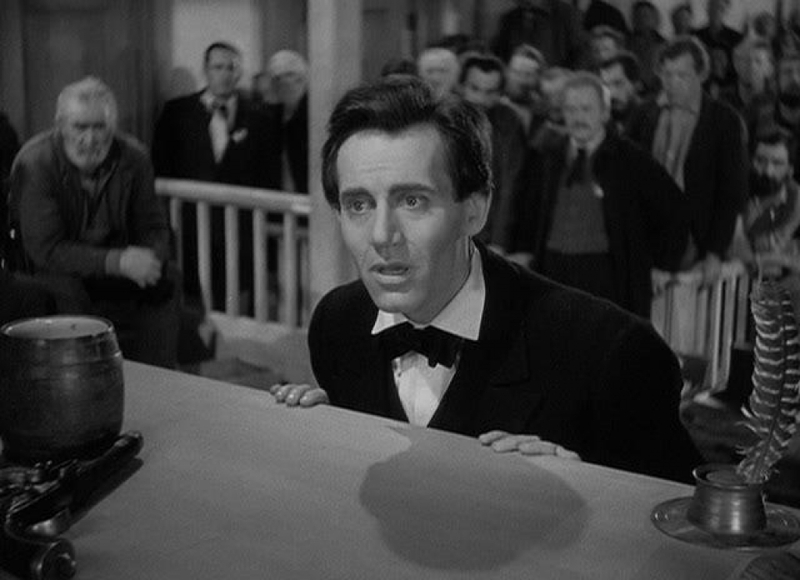 Film Recommendation of the Day 2/05: Young Mr. Lincoln (1939) | Generation Film! Unlike most biography pictures that get caught up in the most infinitesimal of details, legendary making director John Ford’s Young Mr. Lincoln follows a trend of relying on anecdote, mythical reality, and the visionary reconstruction of a myth. 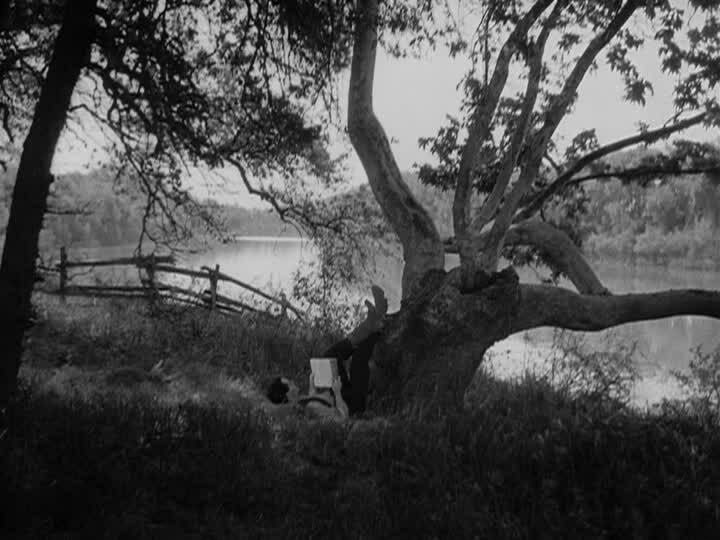 There really is nothing of absolute fact in John Ford’s chosen details of the inexperienced lawyer, which invites a beautiful display of three battling story perspectives: 1) the man we perceive to be true, 2) the man on the screen displaying is timidity and humble inexperience, and 3) the man we know he becomes. It is truly a reality we might know vs. the myth of a man’s origins that are fictionally constructed yet feel convincing as the myth is challenged by presenting a hero who has not yet become himself and is all the more admirable for still being in a state of pure potentiality. With John Ford’s interpretation of Lincoln we are seeing a duality to a man who is at once sympathetic to the struggles and voices of the people he is part of but also an outsider who is so self-aware of his own person and surroundings that the normalcy of the town life isn’t at all satisfying in his own experience. During the 1930s there were many films being made in propagandist style on the aspect of historical mysticism, such as the Leni Riefenstahl film Triumph of the Will or Sergei Eisenstein’s Alexander Nevsky, showing a Lincoln that is at once a democratic, naïve hero but in the end triumphs with his self-aware moral and logical superiority. As French filmmaker Bertrand Tavernier once described Young Mr. Lincoln as “worthy of Plutarch,” referencing the Greek historian’s ability to be unembellished in his presentations of supposed fact. John Ford and his screenwriter certainly adopt the idea leaving much unspoken between the brilliantly constructed scenes, aiding the duality of legend vs. man. And Young Mr. Lincoln is probably the earliest example of Ford perfecting his storytelling and technical art as a filmmaker alongside his other 1939 masterpiece Stagecoach. Ford’s ability to construct each individual scene as one of significance is a rare ability throughout the history of cinema. There is an uncanny use of relaxed humor and natural sentimental charm that defines a John Ford film with other noteworthy examples such as The Searchers (1956) and The Man Who Shot Liberty Valence (1962). But Young Mr. Lincoln is an important film to realize John Ford’s true intentions as a filmmaker and that is to be able to mold his own interpretations in between the lines of the history book. The film isn’t necessarily the idea of reaffirming our perception of a man who will become a testament in history, but rather showing an antebellum America that perhaps needed this naïve yet self-aware man to transcend his time and place, which is emphasized through Lincoln’s lingering moments of reflection throughout the well-constructed film. Of course, Henry Fonda’s brilliant performance is one of the more subdued, charming, and intriguing roles he has ever completed. Really John Ford’s Young Mr. Lincoln is on the borderline of a dreamlike admiration for a man before his historical defining moments, something only the art of film can miraculously do in a full delivery.